A pod of orcas, known by the name of its matriarch CA 51, has returned to the South Bay. Alisa Schulman-Janiger, founder of the California Killer Whale Project, and director of the Los Angeles American Cetacean Society, said the pod has been visiting the South Bay each winter since 2010. 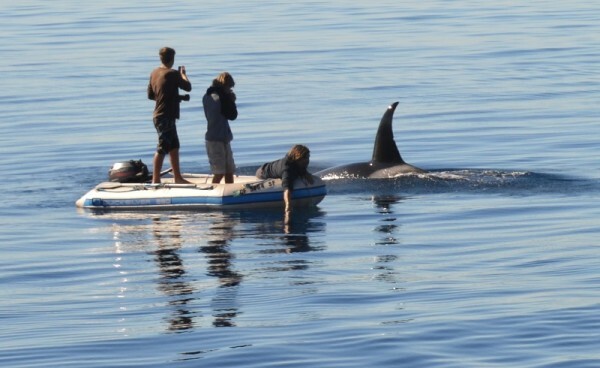 Schulman-Janiger was aboard the whale watch boat out of Long Beach that came across CA 51 and her family last Tuesday. James Sabel, of Redondo Beach, who took the photos accompanying this story, said he was surprised by how approachable the orcas were. The orcas swam within a few hundred yards of Palos Verdes, off of the Terranea Resort.